Please use the tutorials below to write a review on Amazon or Facebook. We want to know what you think! Thank you sooooooo much for your time! As a small family-owned business, reviews are critical. We really appreciate it. 1. Go to the Auto Upkeep Homeschool Curriculum Kit product page. 2. 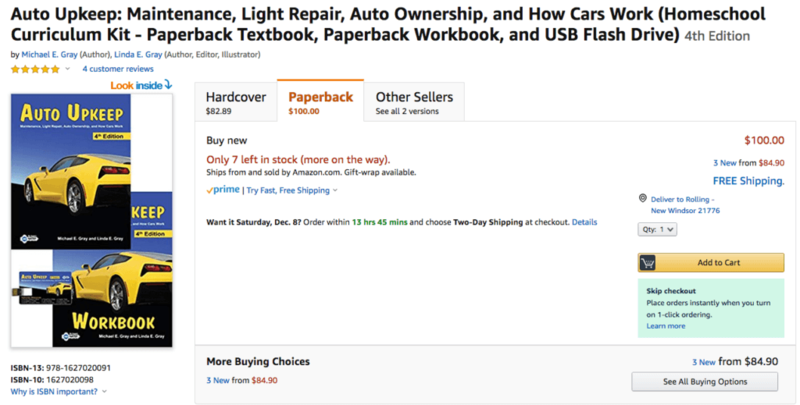 Once you are on product page for the Auto Upkeep Homeschool Curriculum Kit, scroll down to the reviews section and look for the “Write a customer review” button. 1. Go to the Auto Upkeep Facebook page. 2. Once you are on our Facebook page, click Recommendations or Reviews on the left side of our timeline. 3. Click Yes to recommend Auto Upkeep. 4. Write a Recommendation. You can also select any of the tags to recommend a specific feature of Auto Upkeep. 5. Click next to Post to select your audience. 7. Please “Like” our page.